This was on TV last night!! 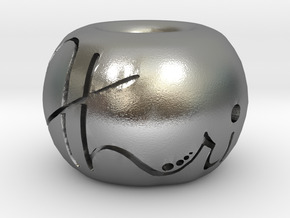 check out the articles written about this 3d printed figurine!! 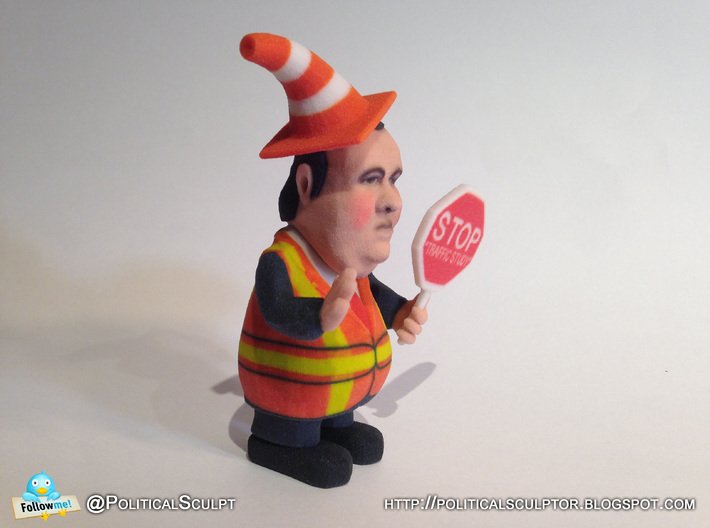 I like to believe that this is the 1st fully colored 3D printed politically oriented figurine in the United States or the world. 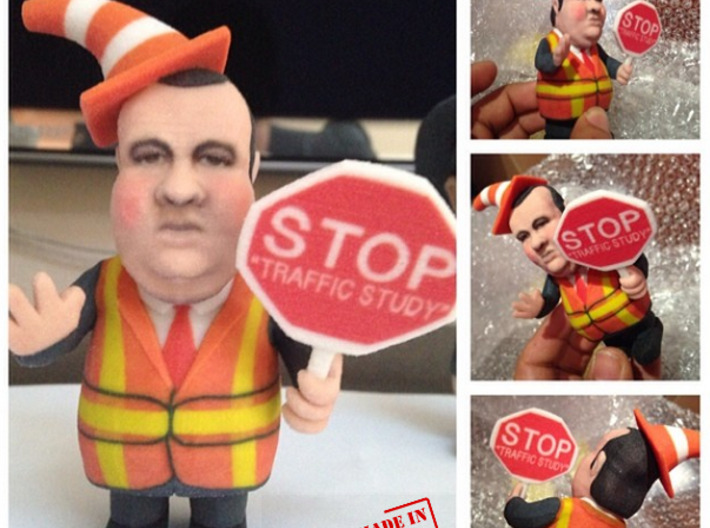 This also happens to be the 1st of my new line of political inspired desk toys or figurines. This line will be perfect for those Political Geeks and who want some extra flare for their desk to establish the political dominion at their office. We all heard the story from Chris Christie making fun of the Washington bridge scandal.. He joked that he was wearing a construction vest and putting down cones directing traffic. 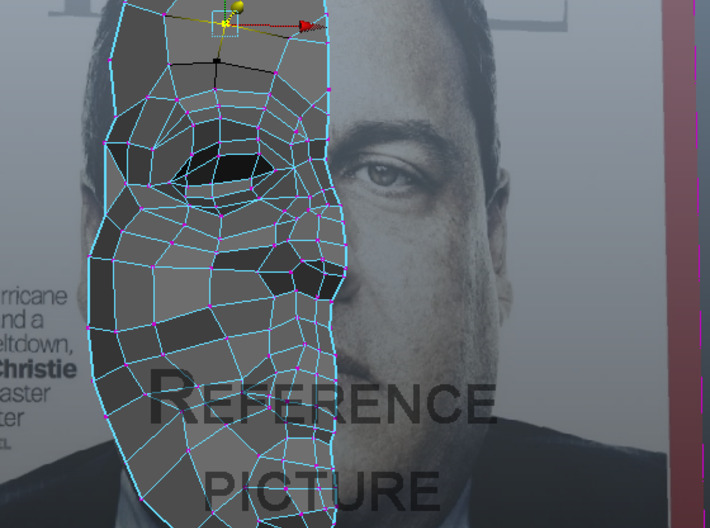 Christie also denied any knowledge of such scandal. He also asserted the 1st time he heard about Bridgegate is after he got out of the Gym. When i heard this interview the 1st thing that came to my mind was Chris Christie goes to the gym? sheesh... 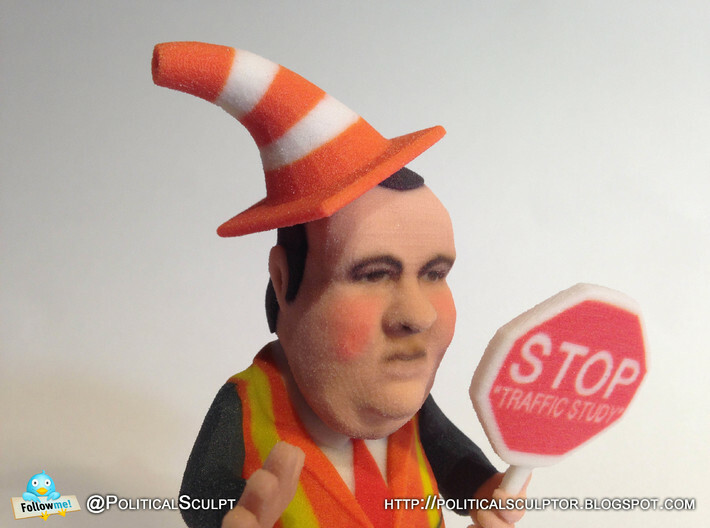 The second thing it was a very disturbing mental picture of a goofy Chris Christie wearing a cone on his head with a construction vest directing traffic. 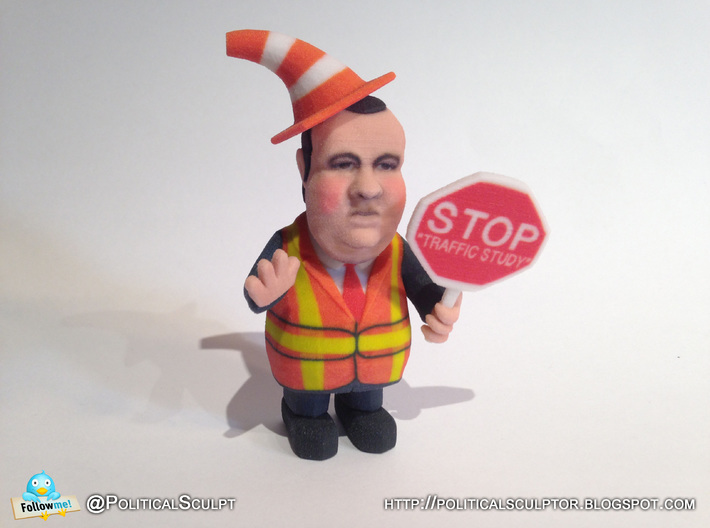 thanks to 21st century technology now i can make this funny yet sad mental picture of this corrupt elected official a hand held desk figurine for your office environment enjoyment. 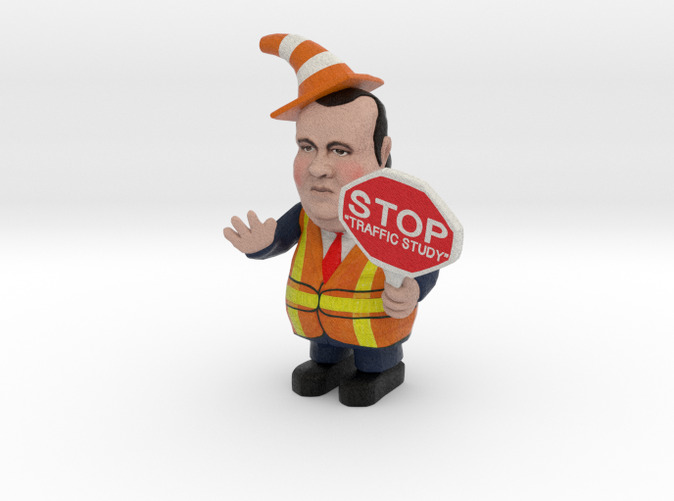 Now you can own your own traffic directing Chris Christie along with a sign that says hey everyone this is not a political retribution.. this is just a "Traffic Study"
So if you know anyone who was stuck in traffic for those horrible 5 days... give them one of these guys. Do you know any democrat who voted for this guy? give them one of this. Do you know any republican who said this guy was their white shining knight for 2016? give them one of this.. Are you a political junkie who needs a morning laughter every morning to cheer you on when you get to your desk? 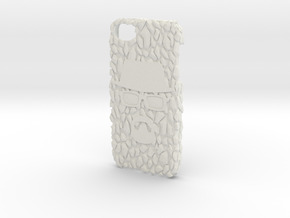 Get one of this guys!!. 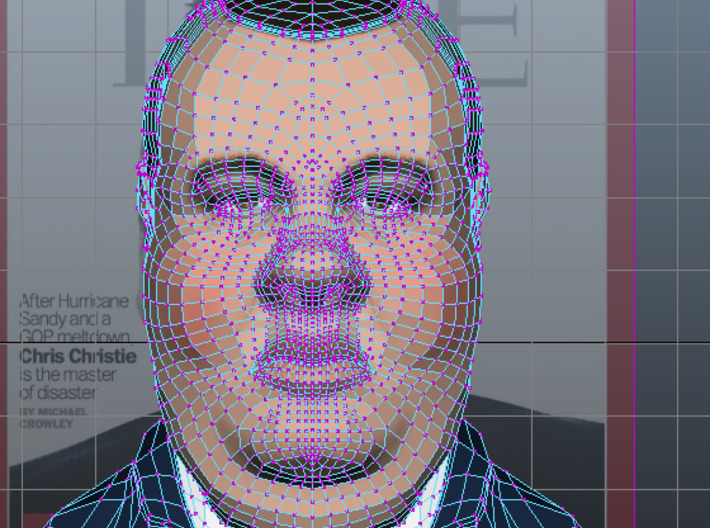 This guy is been modeled almost to scale... actually this was modeled to "scale" just like the shutdown of the washington bridge was a "traffic study"